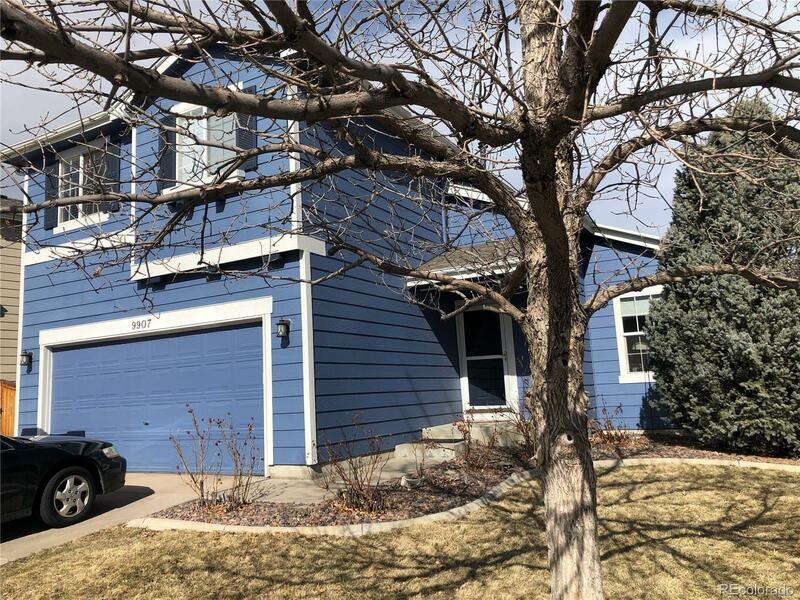 Come and see this charming four bedroom three bath home in highly desirable Highlands Ranch. The entrance of this well-maintained property welcomes you into an open floor plan that boasts a large kitchen with newer appliances, a large pantry and tons of storage. a living room with a cozy fireplace and dining space that leads to a spacious deck rounds out the main level. The 2nd floor features a Master bedroom with an en-suite and 2 additional bedrooms that share a full bath. Youâll enjoy spending quality family time in the fully finished basement in the comfort of the media room The lower level also has additional office space or bedroom with a full bath. Entertain and relax in the backyard where youâll host many get-togethers on the spacious deck. Hurry...this one won't last long! Open House Saturday, March 16th 11:00 AM-3:00 PM.